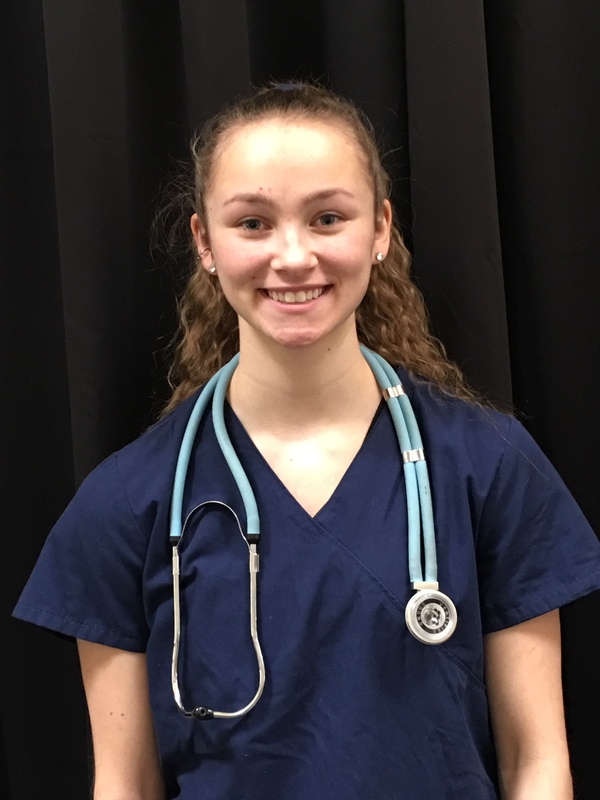 Ciara Harriman is a Health Occupations student. Her instructor, Kathiann Shorey, states that she is an excellent and enthusiastic student who brings a sense of professionalism and calmness to the program. Ciara is an unassuming role model who is creative with ideas to assist other students and to support colleagues. She is highly organized and responsible. In addition to managing her school workload, Ciara has a passion for athletics and dance. She attends dance classes regularly, performs in recitals, and helps younger students to master the art. Ciara is a compassionate caregiver and is a responsible family member at home where she assists with the daily care of her grandmother. Ciara is planning to become a nurse or to work in another health-related occupation. She will be a great addition to her college and place of work, and we are very proud that she came from our community.